The exterior was amazing, so imposing and absolutely beautiful, especially in the sunshine, I imagine it would have looked slightly less welcoming if you were being imprisoned here, I couldn't believe that the prison only closed in 1996! I loved that the original fronts of the cell blocks were still in place although I wasn't a fan of that narrow walkway crossing the hall. Me and heights are not a good combination! This was what we could see from our window, how ace is that view?! 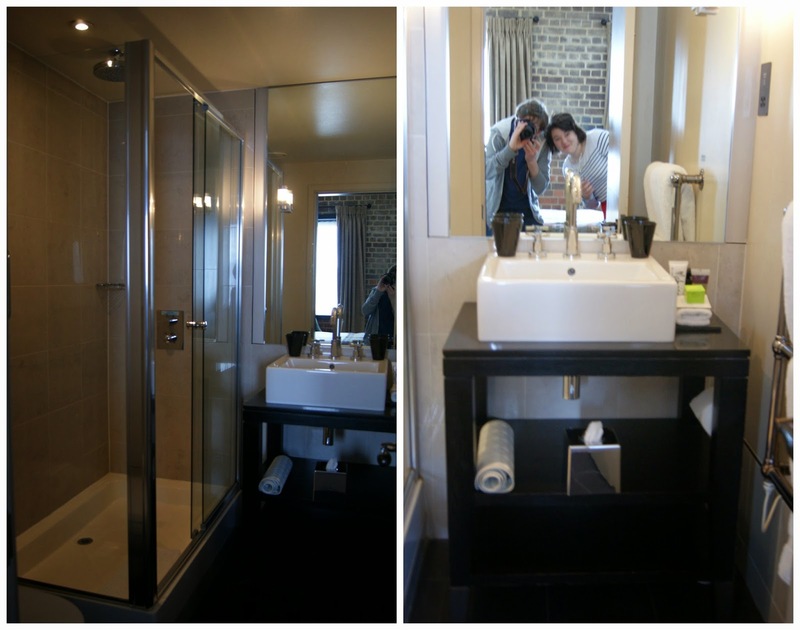 I absolutely loved the bathroom, it was absolutely stunning although I have never stayed anywhere with so many mirrors- we had about 6 in our room which made it lovely and light but it was very disconcerting to keep catching glimpses of yourself, haha! Radcliffe Camera- I am always amazed at how crowded a spot this is in, it always looks much roomier on the TV! 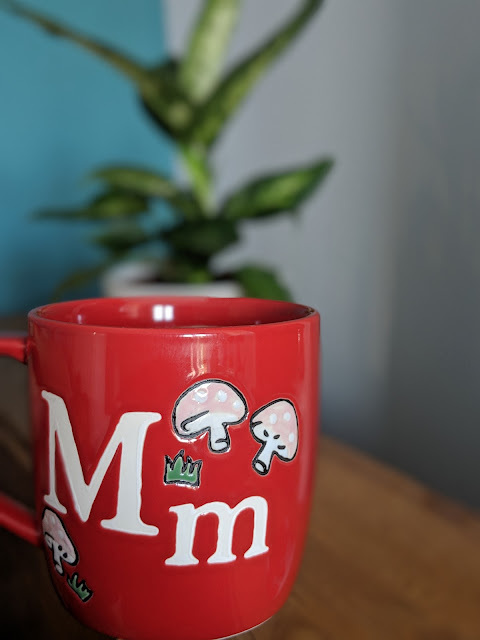 We were planning on going to The Vaults and Garden Cafe for lunch (as recommended by Kat) but it was absolutely jam-packed so we sadly had to try somehwere else. Hattie recommended Turl Street Kitchen to us for lunch and it was absolutely lovely. I had a flat white and this smoked mackerel and potato salad and was just sad that I didn't have a larger portion as it was absolutely delicious. 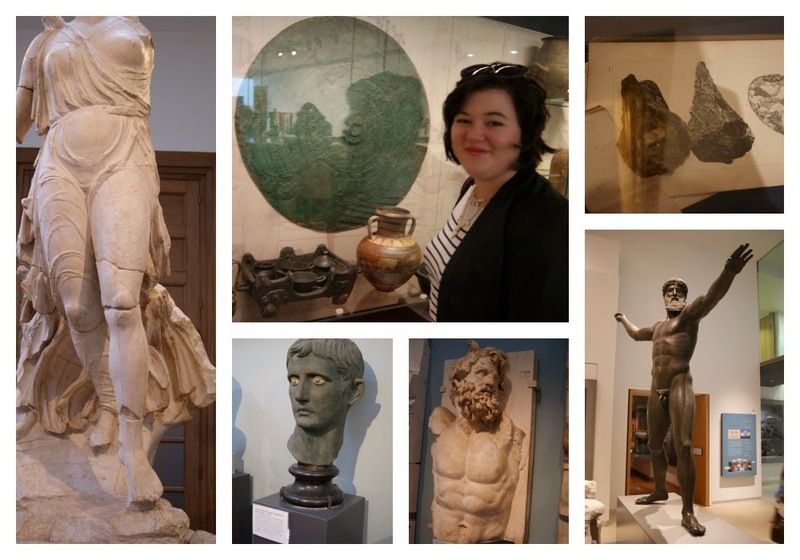 Mark and I spent a few hours in the Ashmolean Museum and took so many photos! 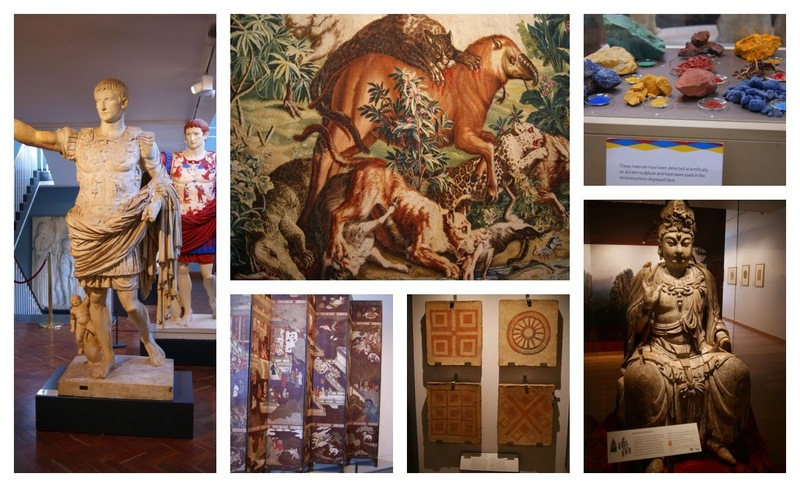 The Greek and Roman stuff was my favourite and the classicists among you may recognise a few pieces! This had to be one of my favourite sections though, everything was so SHINY! 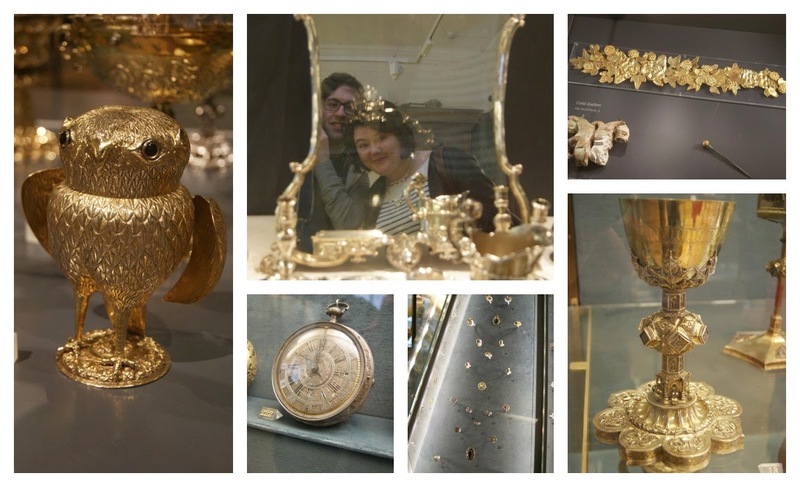 The picture in the centre made me laugh so much, the way it took makes me look like I am wearing a giant shiny crown- I just wish I had cause for a gilt owl and diadem! 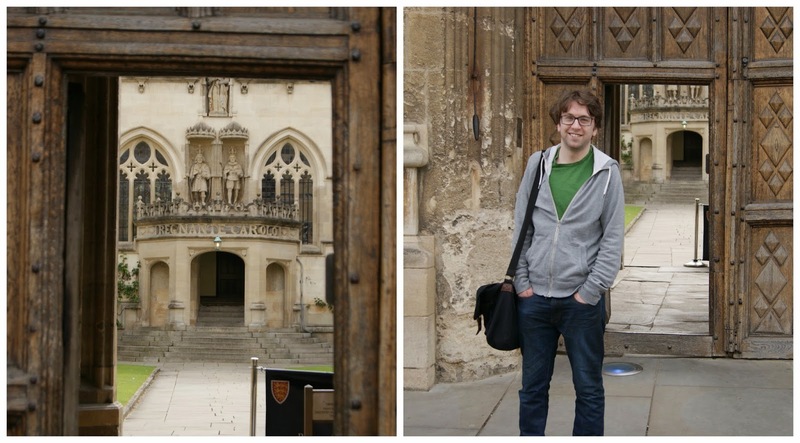 Mark looking a little bit sheepish outside Oriel College- his grandpa went here so we wanted to take some photos but they were doing a lot of building work and it was a bit awkward taking them with the workmen, haha! 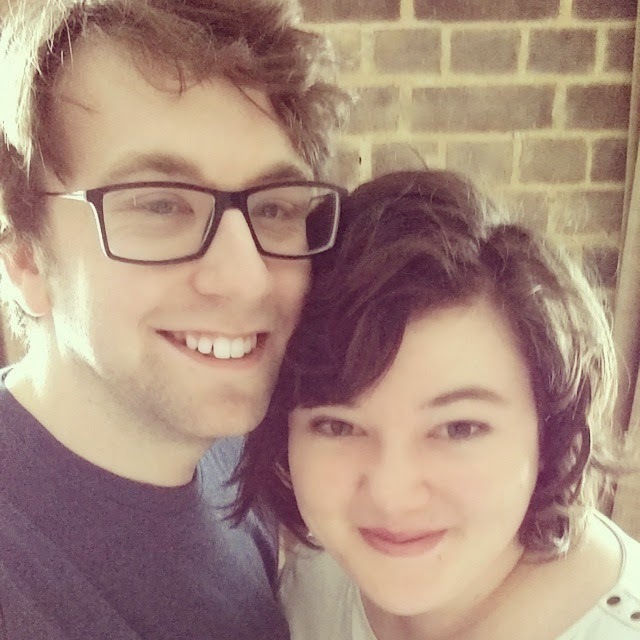 You and Mark are so cute, happy anniversary! The hotel you stayed in looks so cool. I love that it's a converted prison, how random. It certainly looks stylish and full of character. Happy anniversary! And wuuut, what an interesting hotel! I've seen many a buildings get transformed into hotels (I once stayed at a firehouse one) but a prison one has to take the cake. Good thing the building was rather pretty to begin with :) And man, Oxford is so full of culture and history, it sounds like a lovely place to explore for the weekend! Congratulations to you both! 9 years is incredible. The Malmaison looks amazing, when I first saw pics of them I did think it looked strange with that narrow walkways - but since it's a converted prison, it all makes sense! What a lovely place!